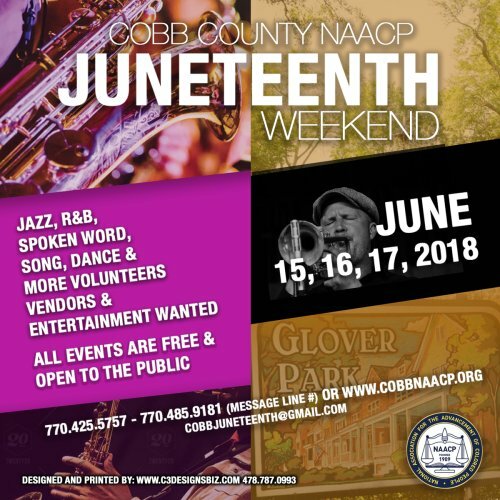 The Cobb County Branch of the National Association of the Advancement of Colored People, along with Mayor Steve Tumlin and City of Marietta will be hosting the 15th Annual Juneteenth Celebration. The weekend of festive events will take place in Glover Park on the Square in Downtown Marietta. The event will kick-off on Friday night with an “Evening Under the Stars.” Activities continue Saturday, and the celebration closes with a Gospel Fest on Sunday.